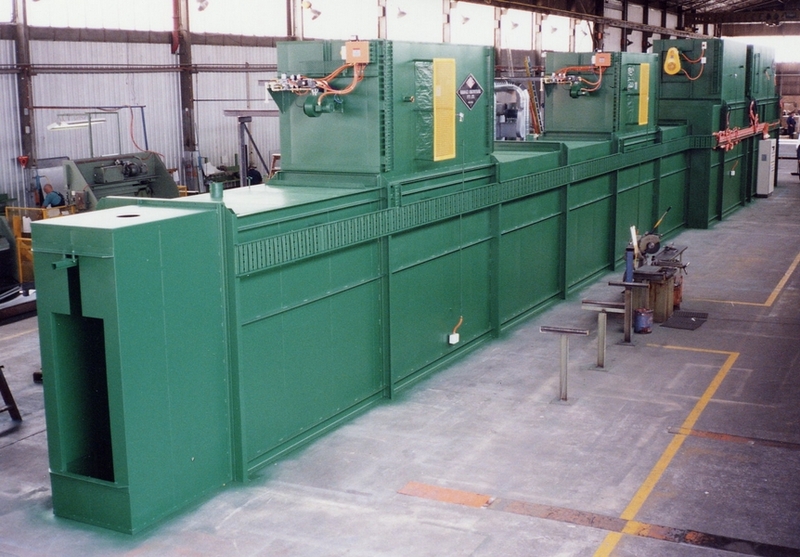 Furnace Engineering offers a wide range of Batch or Continuous Ovens for delivering rapid heating rates and excellent temperature uniformity for any processing application. Ovens can be delivered with variety of air recirculation, horizontal or vertical..
Recirculated air enters the chamber through the unique louvre system for even heat distribution. Electric elements are positioned and monitored to ensure uniform temperature environment. Safety control systems with data recording enable rapid commissioning & operation. Chamber sizes, atmospheric environments and oven temperatures can be customised to suit the manufacturing requirements.